Long-time Northfield Downtown Development Corp. Executive Director Ross Currier has resigned. Currier has accepted the position of Community Development Program Officer at the Minnesota Housing Partnership. Currier has served as the NDDC’s Executive Director since July of 2003. During that period the organization strengthened its commitment to the National Trust for Historic Preservation’s Main Street Program and its comprehensive approach to community vibrancy and economic vitality. Major accomplishments of the organization during Currier’s tenure include: the establishment of a long-term relationship with the University of Minnesota Extension Service for the purpose of utilizing their market research expertise and their annual Retail Trade Analysis; collaborating with Carleton and St. Olaf Colleges to increase the economic leverage that downtown businesses have with students, families, and alumni, and to take advantage of the wealth of creativity and intellectual energy that students exhibit when analyzing social, economic, and environmental issues affecting the Northfield community; the annual publication and distribution of a print directory of downtown businesses and points of interest; the Historic Municipal Signs on I-35 directing visitors to Northfield for almost a decade; participating in many City of Northfield task forces for the purpose of improving and expanding the many public amenities in downtown Northfield; using social media to market downtown Northfield to both residents and visitors; and fostering regular communication between a wide range of downtown stakeholders. Currier particularly enjoyed working with a diverse mix of individuals and organizations on a wide range of issues important to the downtown district and the wider Northfield community. He noted, “The broader your definition and inclusion of stakeholders, the greater the depth of unique ideas and potential solutions”. The NDDC board will hire an Interim Executive Director to complete implementation of the organization’s 2014 Work Plan and coordinate planning for 2015. The search will begin immediately. Currier has offered his on-going support to the NDDC. 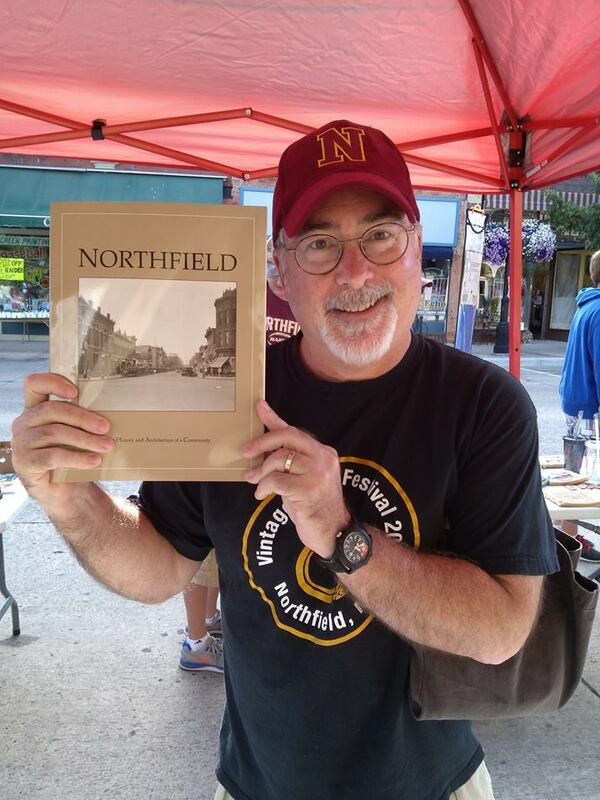 The Northfield Downtown Development Corporation is a non-partisan 501©3 non-profit dedicated to a vibrant and vital downtown. For more information, contact: Greg Kneser, on behalf of the NDDC Board. I was afraid this was coming – what with the faulty discussions about merging NDDC and the Chamber. Ross, you’ve done a remarkable job of applying your many talents and skills to building Northfield’s downtown into the vibrant place it has become. While we’ll miss you, the MHP feels like a logical next step in your career.